“Yet we know that with a housing first approach, integrated with ongoing social and health support and jobs, could result in significant healthcare costs savings over the longer term” said Professor Paul Flatau, in an interview published online by Pro Bono News. What are the possibilities then of a rapid rehousing initiative for Tasmania? With the current housing affordability crisis, fuelled by unprecedented demand for tourist accommodation and a housing price boom, it feels as though there can be little possibility of implementing a rapid housing solution here, particularly not in Hobart where property is at a premium. Housing Tasmania’s Affordable Housing Strategy includes 8 units of short term accommodation for Youth, 63 units for women and kids crisis accommodation under the Family Violence Action Plan and 50 units statewide for people affected by family violence. For homeless men with kids, Hobart City Mission has 9 units of transitional/ medium-term accommodation. 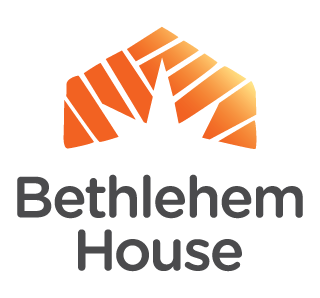 Bethlehem House keenly feels the need for rapid rehousing ‘plus support’ for some of the homeless men we see regularly accessing our services and for the long-term residents. Whilst we provide crisis accommodation for 34 men per night, the median length of stay is being pushed out by the lack of suitable ‘housing plus’ options. 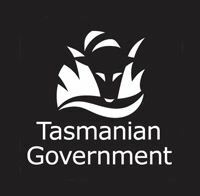 Men who have a housing and / or power debt, are not eligible for a Housing Tasmania property until 80% of debt has been repaid and therefore wait out their time in ‘crisis’ accommodation. Men with an acquired Brain Injury or functional impairment also tend to get stuck in the system: not recognising their need for mental health support and falling through the net, they may remain at Bethlehem House indefinitely if there is nowhere else for them to go. ‘”here is an urgent need for housing with some attached support: a ‘housing plus’ model, for men who simply cannot cope with living independently, without at least a low level of support to help them manage on their own, until they become more independent and for those who may never be able to cope on their own. The State of Homelessness in Australia’s Cities Report, released on April 12th by the Centre for Social Impact at The University of Western Australia (CSI UWA) in partnership with the Australian Alliance to End Homelessness (AAEH).